At first glance the scripture readings today might seem to be rather unconnected. In the Epistle we have Saint Paul recounting some of the things that happened to him as an apostle—and there is no other word to describe his narrative than to call it an “adventure story”—one can picture Indiana Jones being “lowered in a basket through a window in the wall”! The Gospel, however, seems so sedate by comparison. Our Lord is telling another one of those pastoral stories—almost like the lilies of the field. And even though the parable He tells has to deal with something as serious as the salvation and damnation of souls, it still has a sunny tone to it—you can picture the warm Judean countryside and a farmer sowing seed, as farmers had done for thousands of years before. The Church puts these two passages together in order to dispel any notions of fatalism we might have about our Lord’s words. That is to say that the parable of the sower is a sort of “looking backwards from the future.” It is framed with the perspective of someone who can look back into the past from judgment day. Because on that day, it will be possible to look back and see what people did with their lives. Some will have fallen into temptation and withered away, others will have been choked out by the cares of the world, and some will have heard and kept the word, thereby meriting eternal salvation. But what is important to recognize is that from our perspective, none of these things is yet fixed. From the perspective of the here and now, we are not seeds—we are not forced to stay wherever we land, among the thorns, or on the rocky ground. We differ greatly from those seeds, in that we have free will, and we have whatever talents of mind and body the good Lord has endowed us with. If we happen to find ourselves spiritually by the wayside or on rocky ground, we can move ourselves to the good ground. That's why we have this rather motivational epistle. Paul is writing as a middle aged man—probably about 45 or so—about doing things that ought to scare a man twenty years his junior. And he is writing in order to encourage his readers to share in his enthusiasm. He's not necessarily telling them that they should go out and get shipwrecked, or see about getting 39 lashes—but he is telling us that we ought not be stingy and self-protective wherever doing the will of God is concerned. He even admits to being discouraged a little bit. He says that God gave him a “messenger of Satan to buffet [him] in the flesh.” We don't know what that was exactly; some suggest that Paul may have never recovered completely from the blindness he suffered at his conversion, so perhaps it was poor eyesight; some even suggest that Paul had the Stigmata, the wounds of the Crucifixion piercing his hands, feet, and side. In any event it was a physical affliction. And when he asked for relief, God told him that His grace was enough; that God would make him strong enough to endure the trials of this life; that the close relationship Paul had with God in prayer—even being transported into ecstasy—would overcome all obstacles. 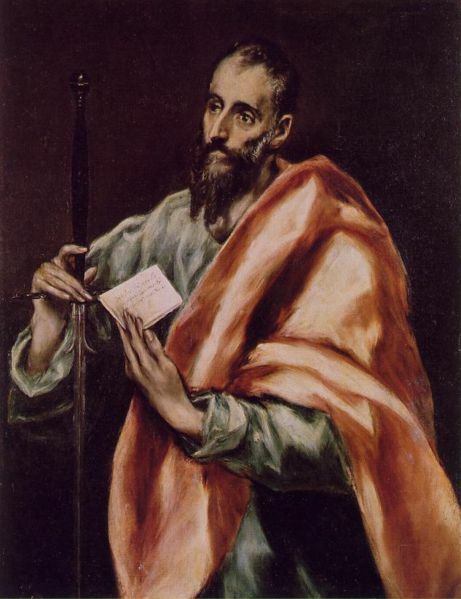 So, during this period of preparation for Lent, and ultimately for Easter, the Church is giving Saint Paul as an example. It is urging us not to be “seeds” that have been cast onto bad ground; urging us to be like Paul, drawing strength from a close relationship with God in prayer; and urging us to laugh off and even to boast gently about the difficulties we have endured in order to keep and to spread our Catholic Faith; urging us not to be inanimate “seeds,” but rather to be men and women making use of our free will and our talents to secure our salvation.